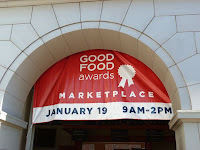 What was better than attending the Good Food Award Winners marketplace tasting, at the SF Ferry Building, this morning? 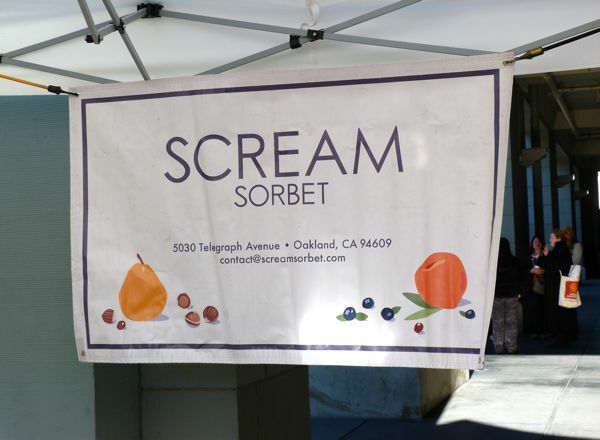 ...Seeing a sign for Scream Sorbet (Oakland, CA), a regular at the Saturday morning farmers market outside at this same location. 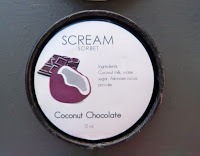 I've visited the Scream Sorbet storefront in Oakland, with a two coolers in tow, to take various exotic, fresh flavors home. 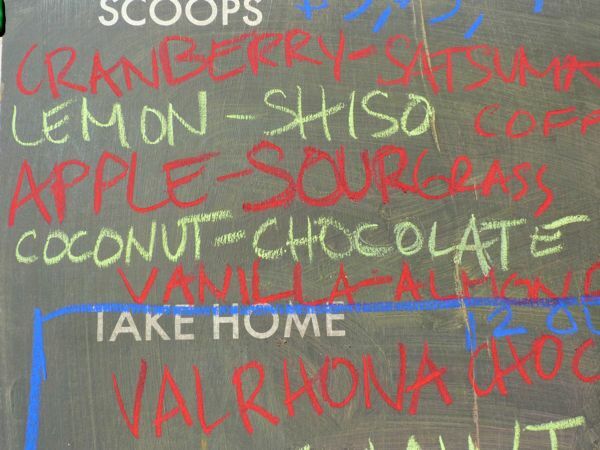 (Hazelnut Chocolate, Fennel Citrus, Lemon Beet, others). Happily, the company also sells (12 oz. 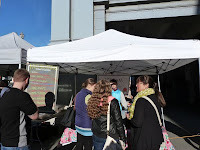 containers and cups of sorbet) at farmers markets in the Bay Area. 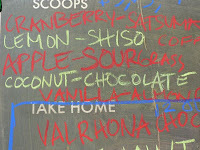 Flavors listed on the chalkboard for today included Coconut Chocolate, a new one for me. Perfect for Day #5 of Chocolate and Coconut Theme Week. Since I was on the go today (and far away from a refrigerator or freezer), I settled for a small tasting spoon's worth of lovely, creamy chocolat sorbet flavored with coconut. 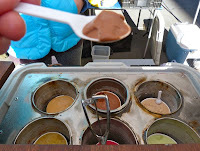 As I was savoring this little lump of goodness on my tiny white spoon, others queued up for some cups of sorbet. 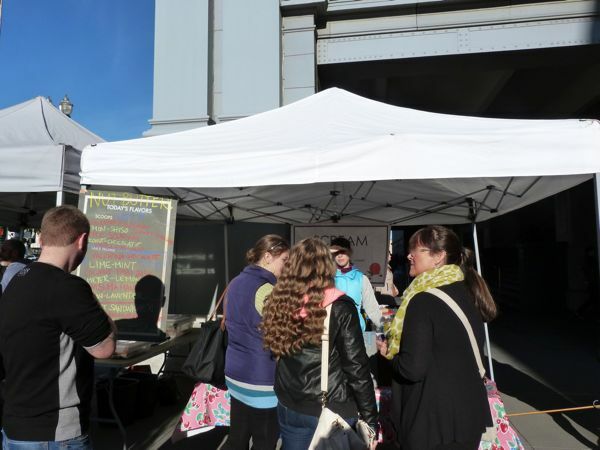 Some were quite certain they'd received ice cream instead. Easy mistake to make. However, there were no dairy or eggs in this wonderful frozen line.